Remember when Selena Gomez and Demi Lovato would sing and dance with a big purple dinosaur? The two young Latina stars started their careers on “Barney and Friends” when they were just adorable youngsters. The long-time friends were constantly shown together dancing and singing onscreen. 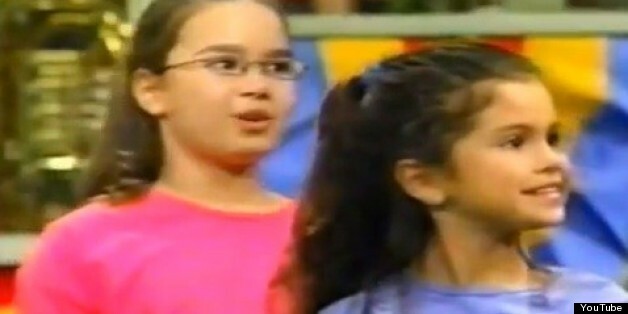 Selena and Demi appeared on various episodes of the seventh and eighth seasons of ‘Barney’ between 2002 and 2004. Later they moved on to become part of the Disney family, and starred in their own movies, TV shows, and most recently, also released their music albums. Demi Lovato and Selena Gomez with Barney.